The Flickr photoset is here, and will be added to as I get more photos, but here are some thumbnails behind the cut. 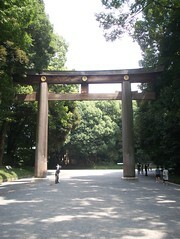 We went to visit the Meiji Shrine this morning -- here's its gateway. 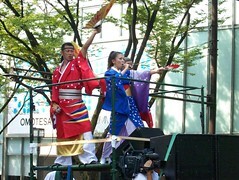 There was some kind of dance contest going on, and the place was thronged with dancing teams in colourful costumes. 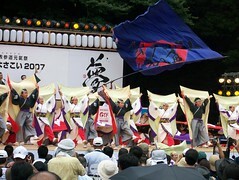 There was also the Notting Hill Carnival a procession of dance teams going up towards the contest. 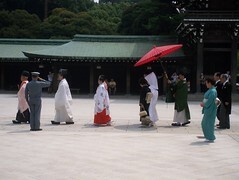 While at the shrine, a wedding party went across towards the wedding chapel.